Faskut® Super Band™ Arbor Bands - Dentsply Canada Ltd.
For all types of acrylic finishing, Faskut® Super Band™ arbor bands are exceptionally long lasting. Aluminum oxide and silicon carbide abrasives are embedded in a dense resin, then bonded to a spiralwound fabric backing using a special resin bonding process. 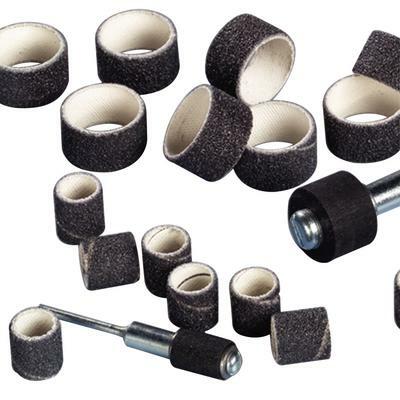 These abrasives are much more durable than the typical glue-and-grit, paper-backed arbor bands. Available in two diameters to meet the varying needs of technicians.